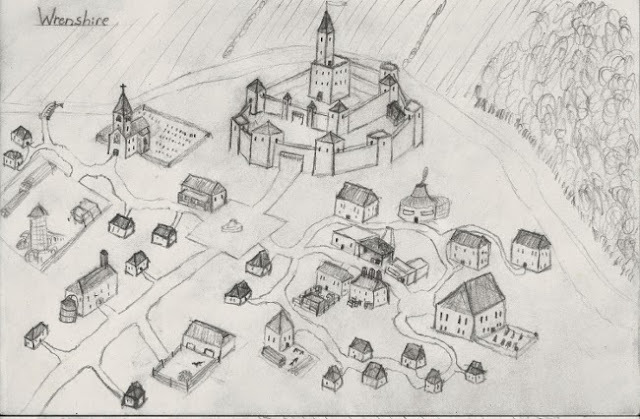 Lord Alex's Home and seat of his power, Pine Hall keep over looks the small town of Wrenshire. The Impossible Campaign has one main character, Lord or Lady Alex. Their friend and captain of the guard, Sir Roland, has gone missing in the town of Woods Deep, and it is up to them to find him! Wars with the neighboring country of North Fray have called much of Lord Alex's Guards away, and whispers of a dark force in the wood have most of the peasants on edge. He would be facing a riot if he called his guard away from the town to search for his friend. So he will have to other allies in his court or from the Church. Other players join in as members of Lord Alex's court, or as Knights of Istar, the all powerful order of knights that saved the world of Rin from the the Dark Sorcerer Kal's undead almost 1000 years ago. The influence of the Knights of Istar extends across the land, and every church is under their careful minded control. However, despite the power of the Knights of Istar, Wrenshire is Lord Alex's to command! Have fun.